Yesterday, September 2nd, more than 150 million Indian workers took part in a one-day general strike against Indian Prime Minister Modi’s assaults on public enterprises and workers’ wages and conditions. It is said to be the largest general strike in the country's history, as long as it involved nearly all sectors of the working class including workers from manufacturing, mining, the public sector, transport and other sectors, along with workers in the informal economy. 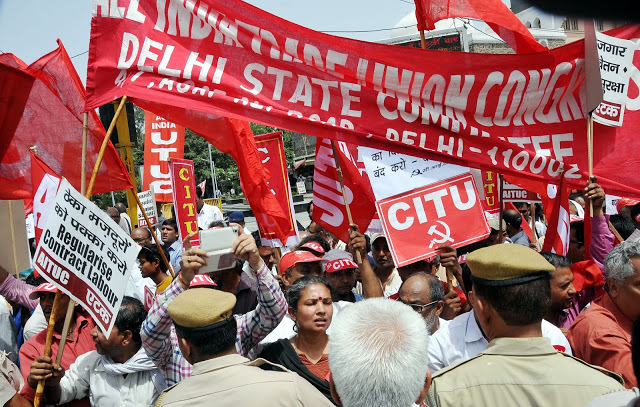 The Central Secretariat of the Communist Party of India congratulates the working class and employees for the most successful general strike all over India on the call of Central Trade Unions. 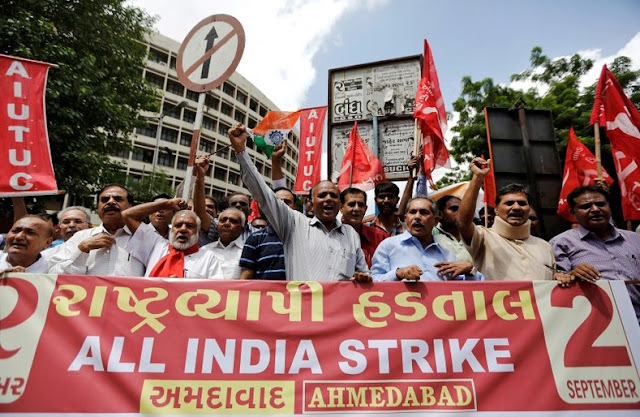 According to reports available till now, there is bandh like situations in many states as the banks, insurance companies, financial institutions, tele-communication, coal, steel, mining sectors, state and central government employees went on strike. Many state transports also joined the strike. This is a rebuff on the anti-worker and anti-employee policy of the Union Government. The pro-corporate government is continuing its policy of appeasement of corporate and big business houses and MNCs at the cost of working class. The participation is likely to be more than last strikes of workers. 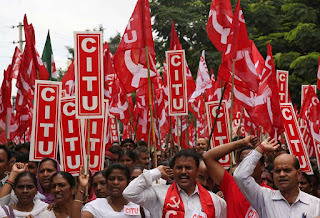 Last year 15 crore workers participated in strike. Unrest in the working class, “the creators of the wealth of the Nation” is not good for the progress of the Nation. Let the government realize that Human Development Index is more important than the magic figures of GDP growth rate. More stormy battles will surely be fought if the government does not mend its policies. CPI urges upon the government to start discussion with Central Trade Union leaders, solve their justified demands, as early as possible. 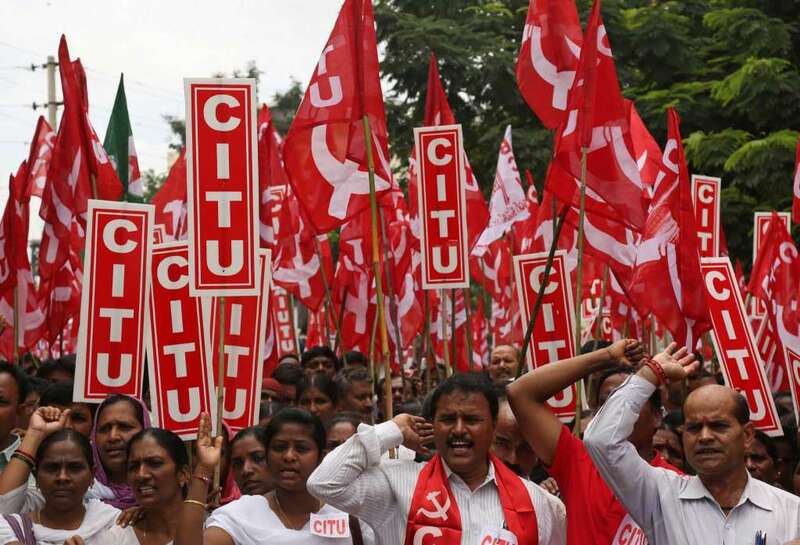 Statements of support to the striking Indian Trade Unions have been issued by numerous communist parties and labour unions across the world, including the World Federation of Trade Unions (WFTU) and the All-Workers Militant Front (PAME) in Greece.